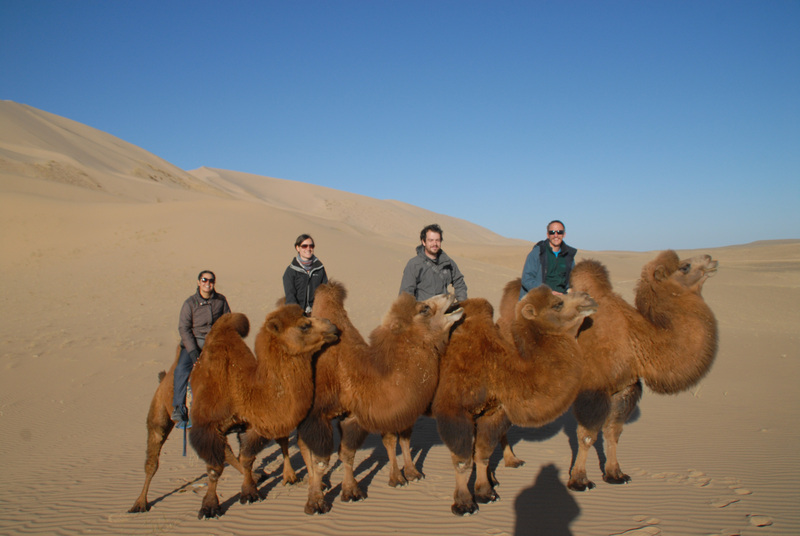 Mongolia is a relatively cheap country in terms of transport, accommodation and food, but travelling by guided tours can really bump up costs. The best way to keep costs down is to cut out these tours where possible and to travel independently. Here’s a list of helpful independent travel tips. The following is a breakdown of the cost of our one month in Mongolia. 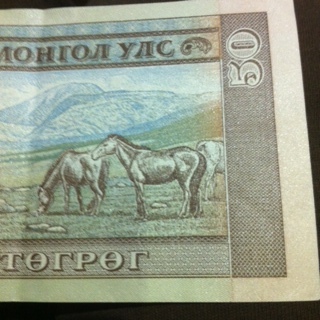 The Mongolian currency is the Togrog (also spelt Tugrik), and is denoted here with a “T”. All costs are per person, based on two people sharing. 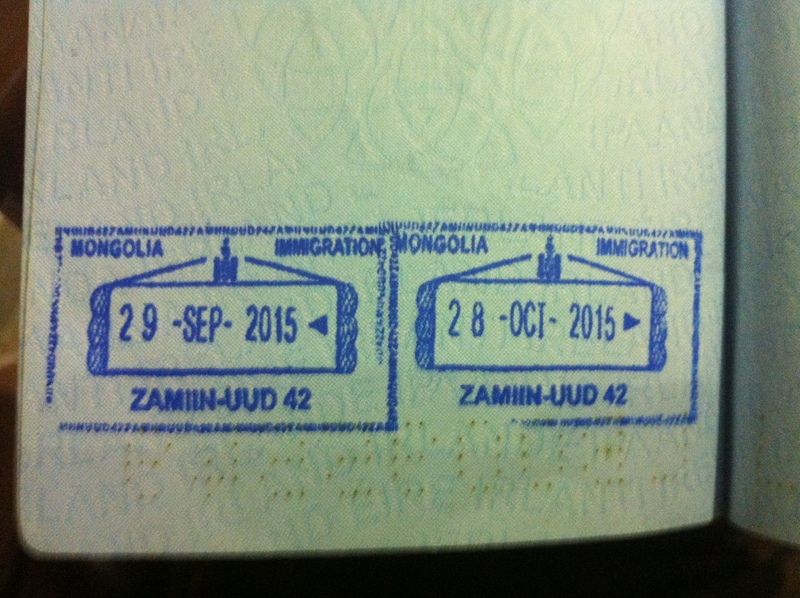 Mongolian visas aren’t necessary for most nationalities. Instead, visitors can get a stamp upon arrival that lasts for 30 days. Hostels, hotels and guesthouses are the usual accommodation in Ulaanbaatar, and these typically cost us T10,000- 20,000 (£3-6.50/ $5-10) per person per night. 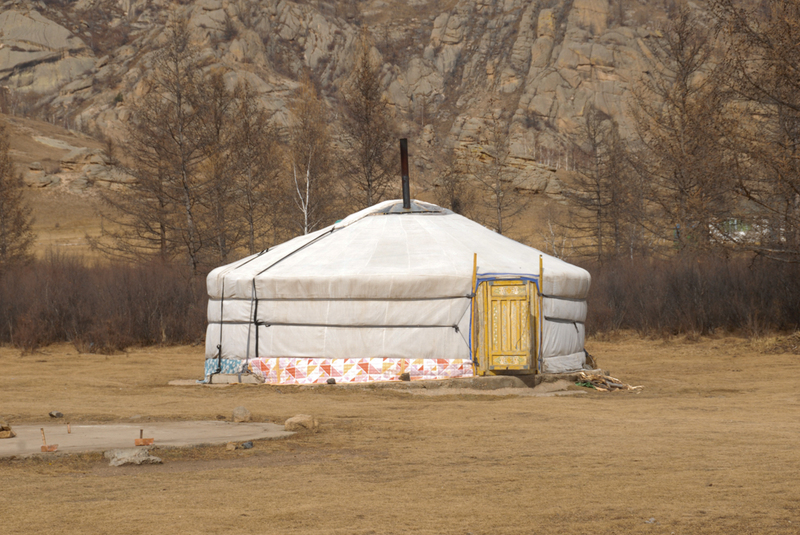 In more remote areas, gers (traditional Mongolian yurts) are the accommodation of choice. Tourist ger camps are available in national parks. We rented our own ger in Terelj National Park for T20,000 (£6.50/ $10) each, and tourist gers in the Gobi desert cost us each T10,000 (£3/ $5), with four people sharing. 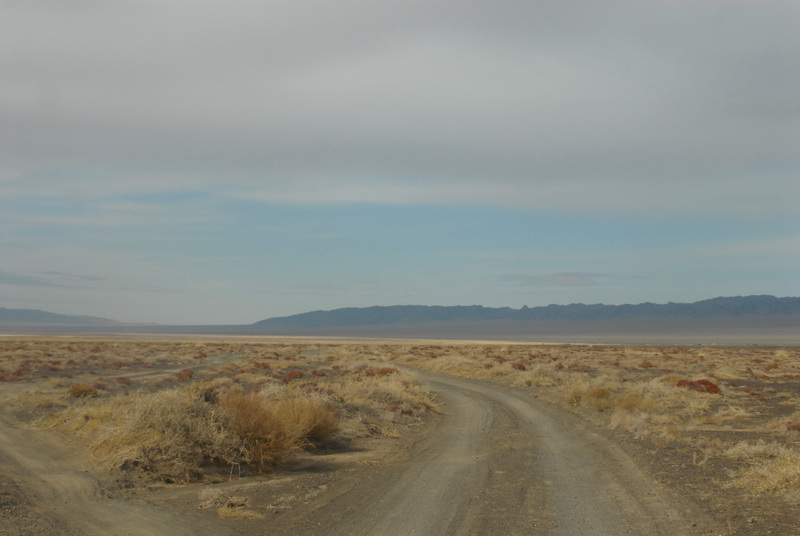 Home stays in gers cost us T10,000 (£3/ $5), with four people sharing) each in the Gobi desert. 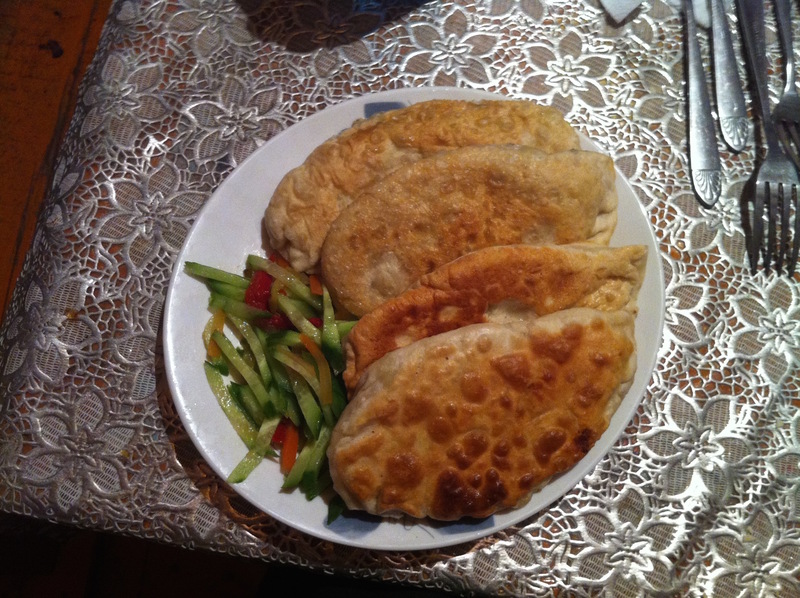 A home stay in a house in Sagsai, in Western Mongolia, cost us each T20,000 (£6.50/ $10), including meals. A stay in a ger in Western Mongolia cost us each T25,000 (£8/ $12.50), including meals, a half-day horse trek, and accompanying the family while they trained their eagle. A meal in a typical Mongolian restaurant usually cost us T5,000- T8,000 (£1.50- £2.50 / $2.50- $4) each. Prices are higher in Ulaanbaatar, but there is also a greater range of food available. Meals here (when we weren’t cooking for ourselves) cost us between T7,000 and T16,000 (£2- £5/ $3.50- $8). Soft drinks usually cost T1,000- 2,000 (30p- 60p / $0.50- $1). A half-litre bottle of beer costs as little as T1,000 (30p/ 50c) in a supermarket, and up to T5,000 (£1.50/ $2.50) in a pub. A bottle of cheap local vodka (the drink of choice in Mongolia) costs around T9,000 (£3/ $4.50) from a supermarket or T16,000 (£5/ $8) in a pub (or more in Ulaanbaatar). Expect to pay up to three times this price for other types of spirits. A taxi in UB costs around T1,000 (30p/ 50c) per kilometre. But this is not a rule, and be prepared to bargain if a driver tries to overcharge you. A bus or tram journey in UB costs T500 (15p/ 25c), but routes are hard to figure out. Longer bus journeys are priced seemingly at random. A two hour bus journey from UB to Terelj village costs T2,500 (80p/ $1.25). A two day bus from Ulgii to UB costs T65,000 (£22/ £33). These prices are fixed and everyone is charged the same. An internal flight from Ulaanbaatar to Ulgii cost us each T360,000 (£120/ $180), but can be bought for T270,000 (£90/ $135) if your dates are flexible (ours weren’t!). The Gobi was one part of Mongolia we couldn’t do independently, and our six-day, five-night tour cost us each T588,000 (£196/ $294). Read a full breakdown here.